It’s no secret that Black Friday is the biggest shopping day of the year. Customers flock to shopping centers in mass to find the best deals on the season’s hottest products. However, in recent years it’s not just stores participating in Black Friday deals — restaurants have also begun to hop on the trend. Whether they’re opening earlier in the morning to cater to customers, offering special discounts to diners, or giving an extra bonus to patrons buying gift cards, restaurants are becoming regular participants in the Black Friday Festivities. Sonic, a drive-in fast-food restaurant with more than 3,500 restaurants in 43 U.S. states, opened at 6am, or earlier in some locations, in 2012 to cater to hungry Black Friday shoppers. Not only did the restaurant begin serving customers a few hours early, they also offered half-price breakfast burritos all day long. No coupon necessary! The world’s largest casual dining seafood restaurant participated in its own version of Black Friday in 2012, offering seafood lovers at its nearly 700 restaurants in the U.S. and Canada quite a deal. With a coupon available on the company’s Facebook page, customers were able to take advantage of a buy one Maine Stay entrée, get a second free deal. After filling up on Turkey and stuffing on Thanksgiving in 2012, many shoppers made a smooth transition to Italian-American cuisine, by taking advantage of the Black Friday deal offered at the restaurant’s nearly 200 locations. The company posted a coupon on their website offering a buy one entrée, get one free deal that started on Black Friday and ran until the following Sunday. You don’t have to live in California to reap the benefits of the Black Friday deals at California Pizza Kitchen. Located in more than 30 states, the pizza chain offered a Black Friday deal too good to pass up in 2012. Shoppers looking for gifts for their favorite foodie received two free $20 gift cards with the purchase of every $100 gift card. Essentially that’s paying $60 to receive $100 — not bad! Shoppers in New York, Indiana, Ohio, Pennsylvania, and Connecticut enjoyed a Black Friday deal from DiBella’s in 2012. A coupon on the restaurant’s website offered busy shoppers a chance to receive a free small sub, with the purchase of any sub. Perfect for a quick bite in between stores! Chili’s, an American style chain restaurant with more than 1,400 locations in the U.S. and Canada, got into the Black Friday spirit in 2012 by offering a number of deals throughout the weekend, all valid with the purchase of at least one adult entrée. On Black Friday itself, the restaurant offered customers a free appetizer or dessert. On Saturday customer received a free brownie sundae. Finally, on Sunday patrons were served a complementary dish of chips and queso. On Black Friday weekend 2012 not only could IKEA customers enjoy deep discounts on the store’s merchandise, they also enjoyed a free meal. Anyone purchasing $100 or more at the store was eligible for the discount. Customers simply purchased their meal at the restaurant, where they received a coupon to give to the check-out cashier. The price of the meal was deducted from their purchase of $100 or more. When planning your Black Friday shopping strategy, don’t forget to search for a great restaurant deal. After a long day of reveling in Black Friday deals, you’re going to be very hungry. Don’t let your restaurant bill be the only thing you pay full price for on Black Friday! 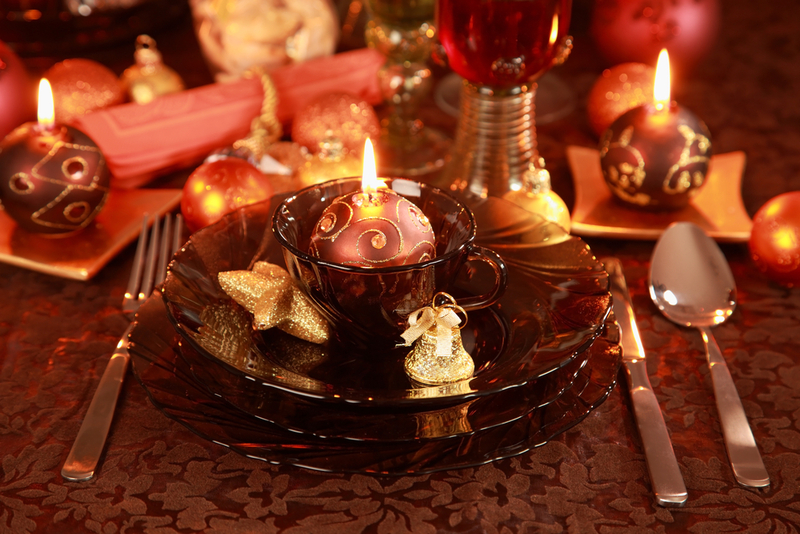 Holiday Dish image courtesy of Shutterstock.